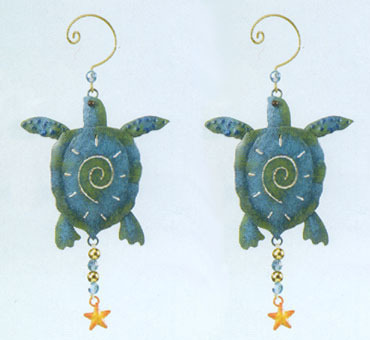 These charming Sea Turtle Adornments will bring a unique and artistic addition to your home or office. Handcrafted with the finest details and materials, these functional pieces of artwork will bring a lifetime of enjoyment. Little touches like these adornments can really personalize and warm a home or work area. A wonderful gift for a friend or loved one as well! 4 inches W. x 8 inches H.